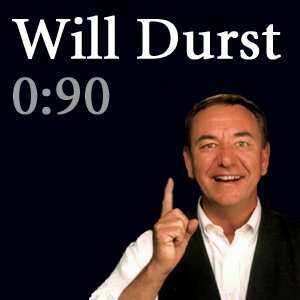 Every Wednesday, comedian and commentator Will Durst gets 90 seconds to speak his mind (often from the left side of the political equation). Click here to subscribe to Will Durst 0:90, only at Audible®. Check out the complete archive. You Can't Make Stuff Up Like This!